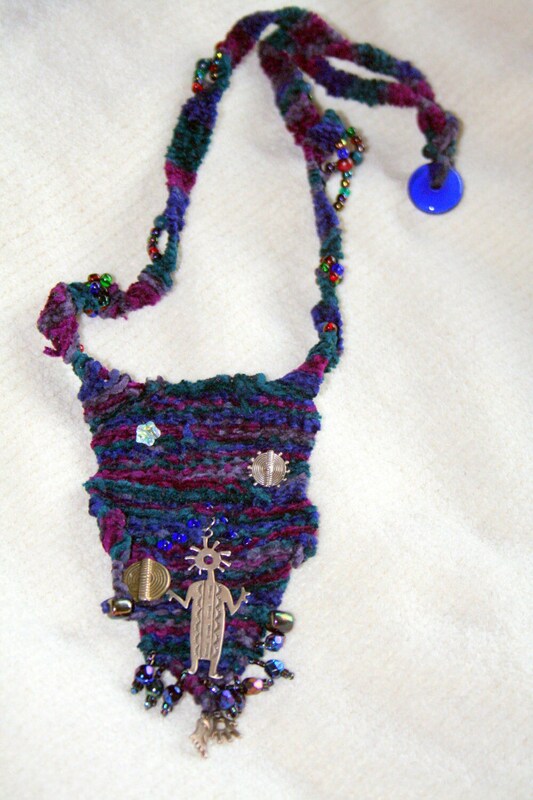 This necklace is a hand woven fiber piece made by using single needle weaving technique. It is woven with a variegated yarn in shades of purple, blues, grays, teal and magenta. 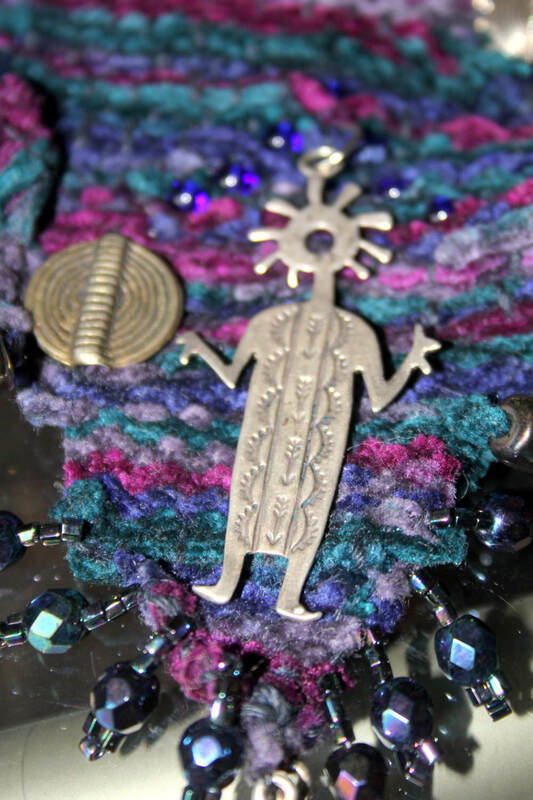 The Native American charm is a water spirit and is sterling silver. There are also two sterling spiral charms and a hand and foot charm that signifies mankind and a glass star. The edges are fringed with Czech glass iris beads that reflect different shades of blues and purples. 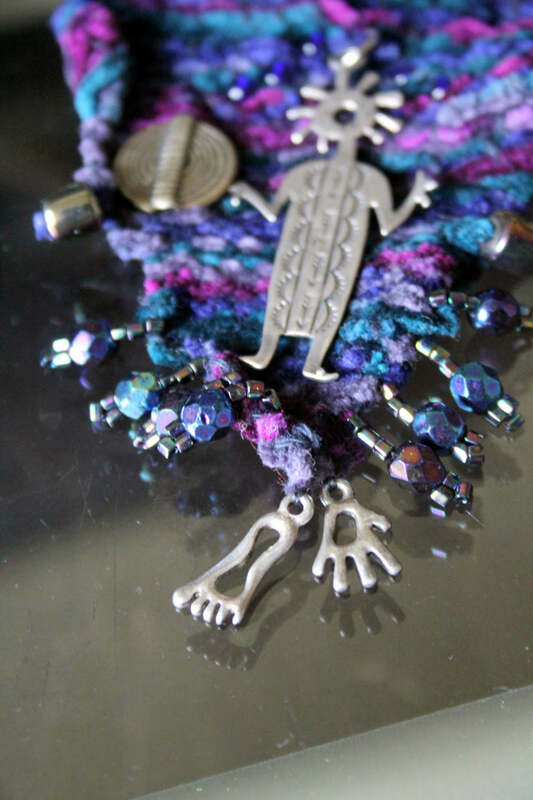 The neck strap is also woven and has seed beads and wood beads woven throughout. The clasp is made from a navy blue, glass doughnut bead. The necklace is 12" long from the closure in the back to the top of the necklace. The body of the woven piece is 5" long and is 3" at the widest part. The water spirit charm is 2" long. This necklace looks great against a sweater or turtle neck and can be worn with casual or dressy clothes.